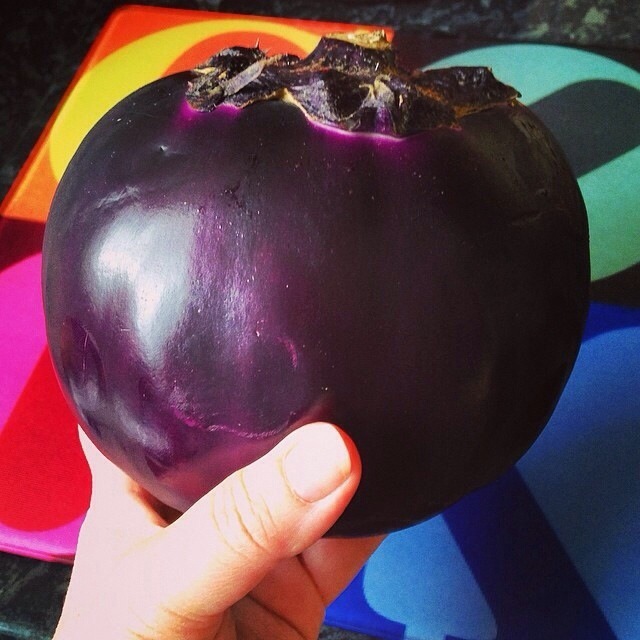 Last week I had the most amazing round aubergine delivered with my shopping. I think I have mention before that the family is not very keen on eating aubergine so I find myself disguising it in any way I can. 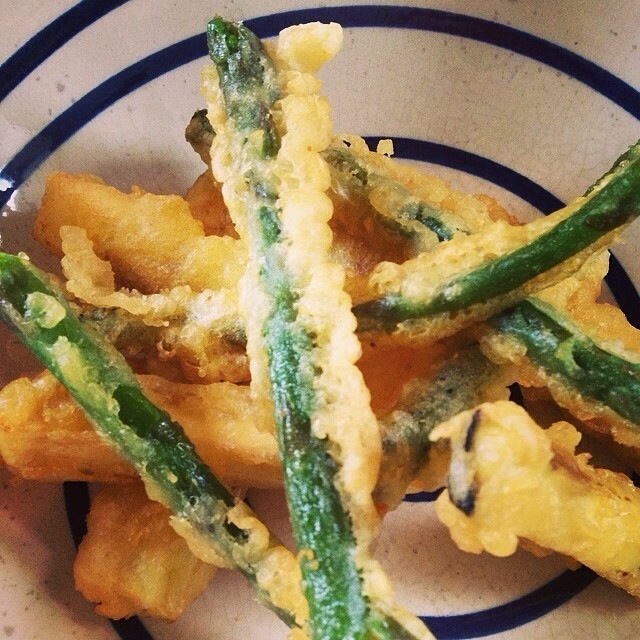 I used half the aubergine and some asparagus to make some tempura. Lovely with a sweet chilli dip. My youngest son, Oliver loved it! With the other half and to go with some Chinese pork chops and egg fried rice I made the hot and sour aubergine as a side dish. Mixed all the sauce ingredients and reserve. 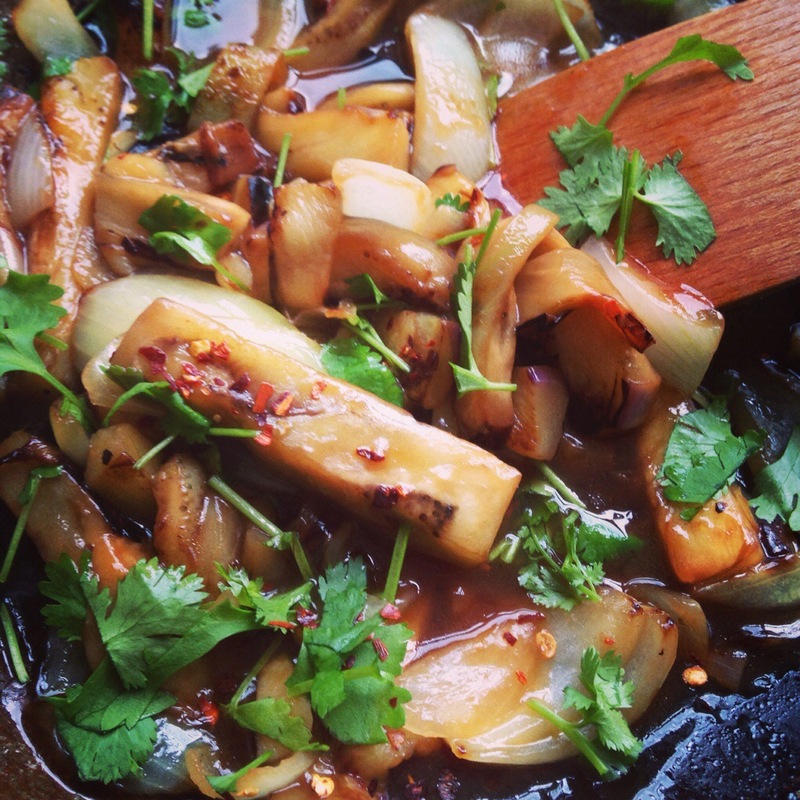 In a large wok or frying pan heat some oil and brown the aubergine gently on all sides, set aside and after adding some more oil add the onion and garlic and stir fry on a low heat till soft. Add the aubergine to the pan and pour the sauce over. Cover and cook for 5 more minutes. This entry was posted in catering, cooking, eating out, fitness, food, health, home, home cooking, kitchen, love, nutrition, snacks, vegan, vegetarian, world food and tagged aubergine, food, health, loove, nutrition, vegan, vegetarian. Bookmark the permalink.